GameStops in California have been ordered to put stickers on used games warning customers that they may have to pay extra to access DLC and online features. GameStop was sued in 2010 over "deceptively misleading" pre-owned game sales after a gamer saved himself five bucks by purchasing a used copy of Dragon Age: Origins but then discovered when he installed it that he'd have to pay another $15 to access the "free" DLC advertised on the box. Of course, that DLC was meant to discourage used game sales by forcing pre-owned buyers to pay extra for content that's included with new copies, but GameStop apparently didn't make enough of an effort to explain that point and so off to court it went. And as a result, GameStop will now make a much greater effort to explain the point, at least in the state of California, by way of warning stickers it has agreed to affix to copies of used games. The stickers will inform customers considering a used game purchase that they may have to pony up more when they get home if they want access to all the stuff advertised on the package. In addition, GameStop has agreed to compensate qualifying customers for their trouble with either a $10 check and $5 coupon or $5 check and $10 coupon, depending on whether or not they're members of GameStop's "PowerUp Rewards" program. "We are pleased that as a result of this lawsuit, we were able to obtain complete restitution for consumers, with actual money paid out to people who were harmed by GameStop's conduct," Baron and Budd attorney Mark Pifko said in a statement. 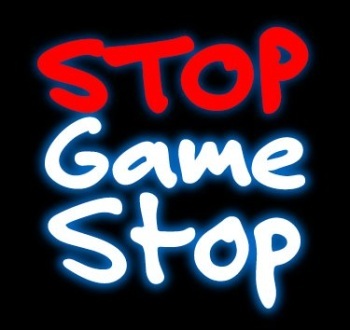 "The in-store and online warnings are an important benefit under the settlement as well, because if GameStop discloses the truth to consumers, it is unlikely that they will be able to continue selling used copies of certain games for only $5 less than the price of a new copy. In fact, we already know that not long after the lawsuit was filed, GameStop lowered prices for used copies of many of the game titles identified in the lawsuit." The law firm also went out of its way a bit to characterize GameStop's used game sales practices as more than a little sleazy, alleging that it actually marks them up to maximize its profits. "Utilizing this practice, GameStop makes more than $2 billion a year on used video game sales, without paying any royalties to video game publishers or developers," it noted. What it didn't note is that Dragon Age: Origins already has a label warning that The Stone Prisoner, Shale and Blood Dragon Armor DLC require a "one time use code available with full retail purchase." That's admittedly a bit mealy-mouthed but it's there nonetheless, right beside the PC system requirements and in larger, boxed text, too. I'm all for protecting consumers from predatory business practices, but just how much hand-holding do we need before someone finally says "enough?" To find out more about the settlement and how to get your slice of the victimization pie, check out Baron and Budd's GameStop Settlement Facebook page.